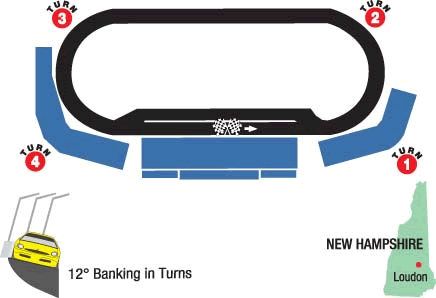 New Hampshire Motor Speedway is a 1.058 mile Oval. It falls in the category of Intermediate (an oval that is greater than 1 mile in length, but less than 2 miles in length.). The first NASCAR Cup Series race at New Hampshire Motor Speedway was in 1993.